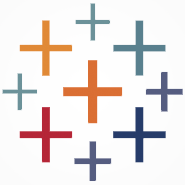 Looking at shot location data and where teams score.  Quick visualization for this Reddit thread. Because I had the data, and because I can. 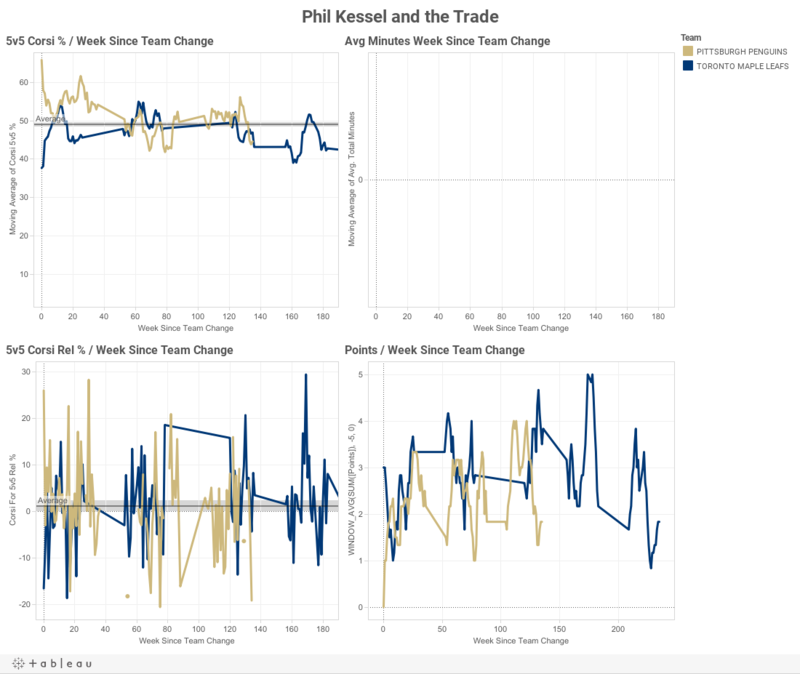 A look at Phil Kessel's performance before and after his trade to the Penguins. 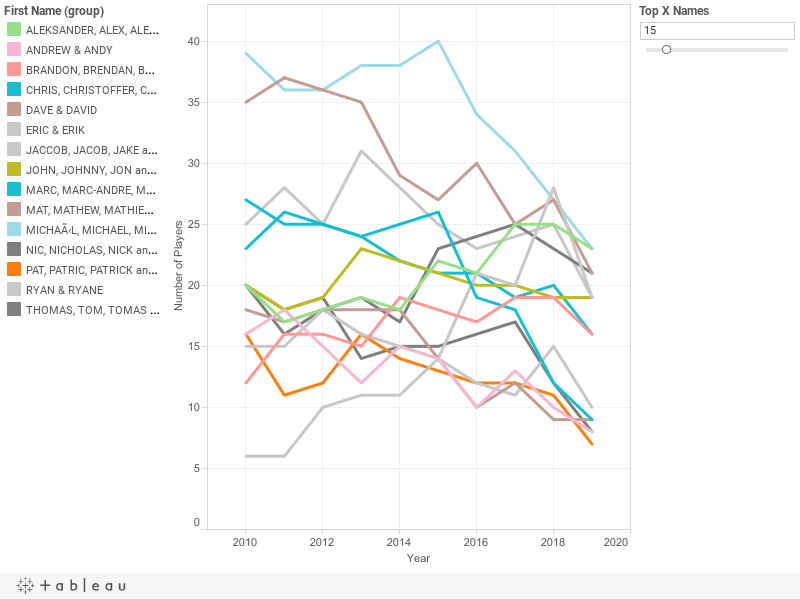 This viz shows how many team penalties per season each NHL coach has accrued and how they affect a team's win rate. 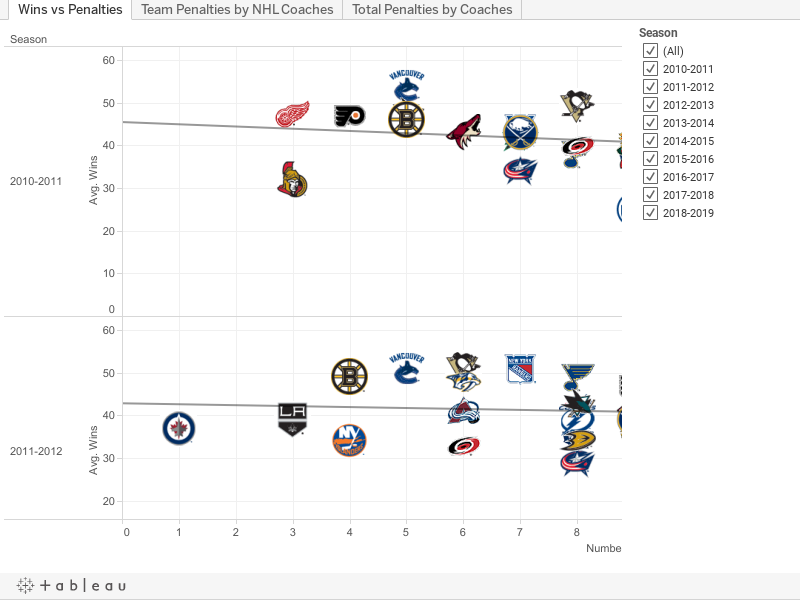 You'll also notice the upward trend of team penalties per year. 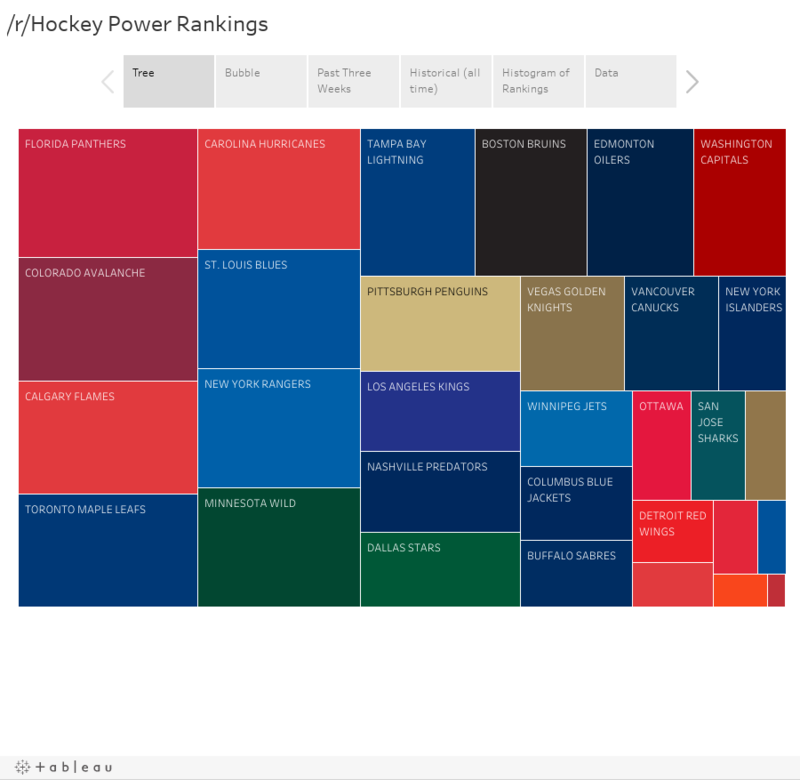 The data for this Viz is still being updated with game data daily. At the eight face-off spots (excluding center ice face-off spot), the defending player shall place his stick within the designated white area first followed immediately by the attacking player. When the face-off is conducted at the center ice face-off spot, the visiting player shall place his stick on the ice first. 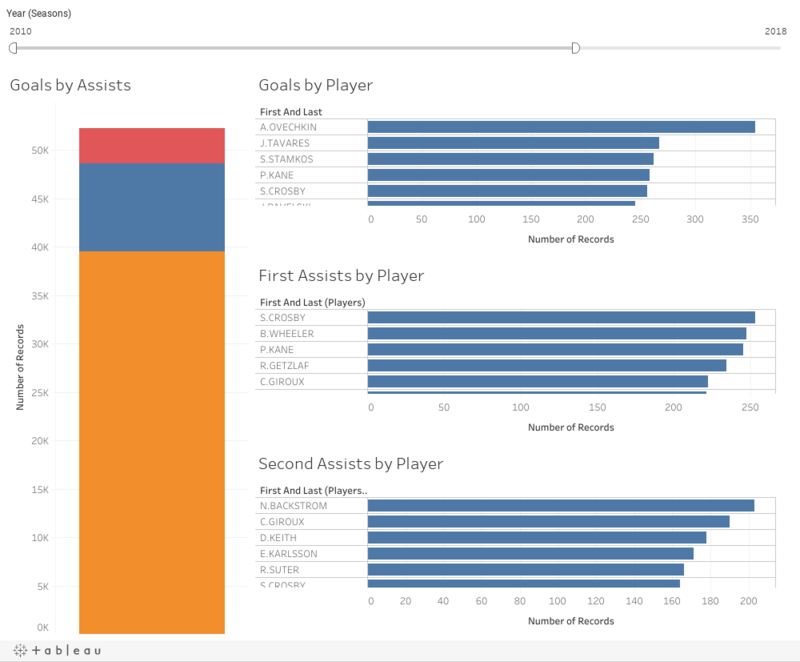 A viz done for this HFBoards thread: http://hfboards.hockeysfuture.com/showthread.php?t=2344827 showing how much time players spend with teammates over time. 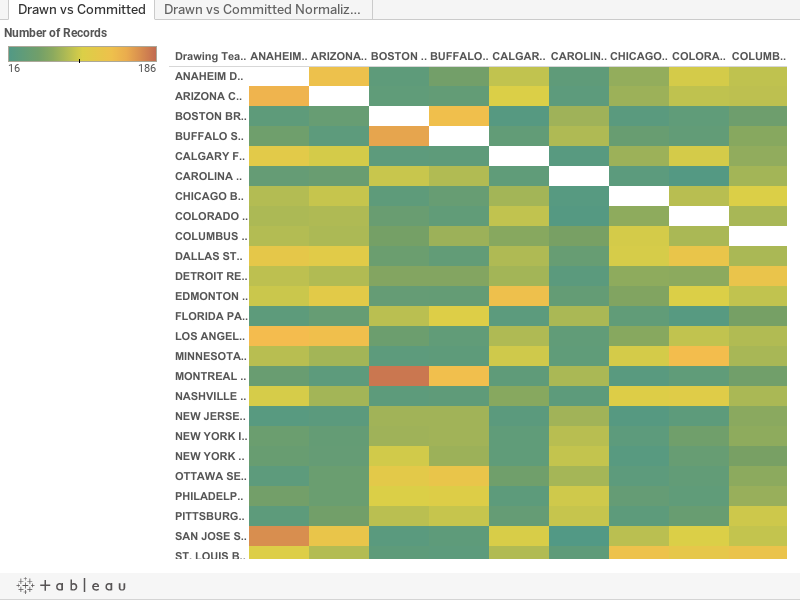 A viz that shows the number of penalties drawn versus a specific team. 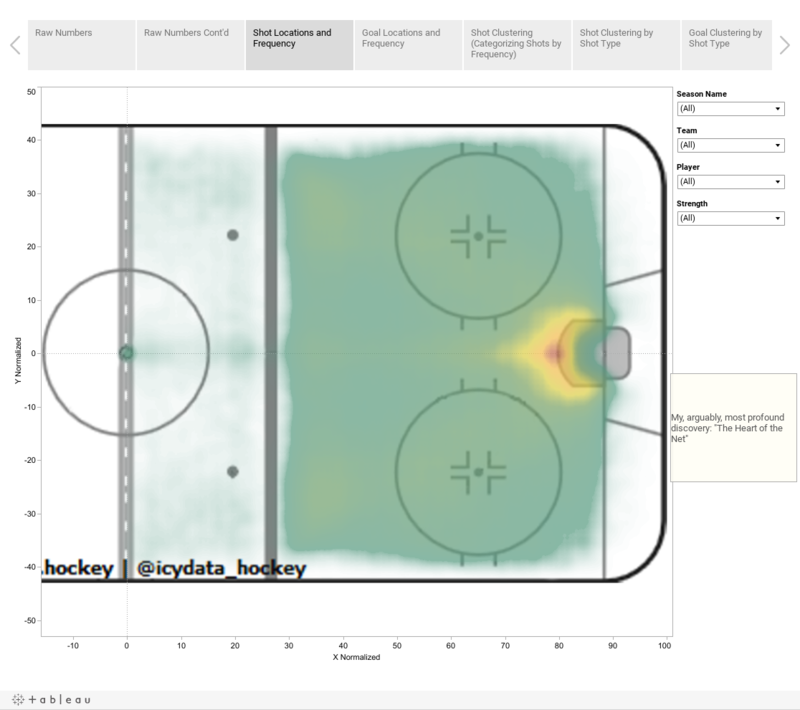 A viz, updated daily, giving shot heatmaps and individual shot metrics. 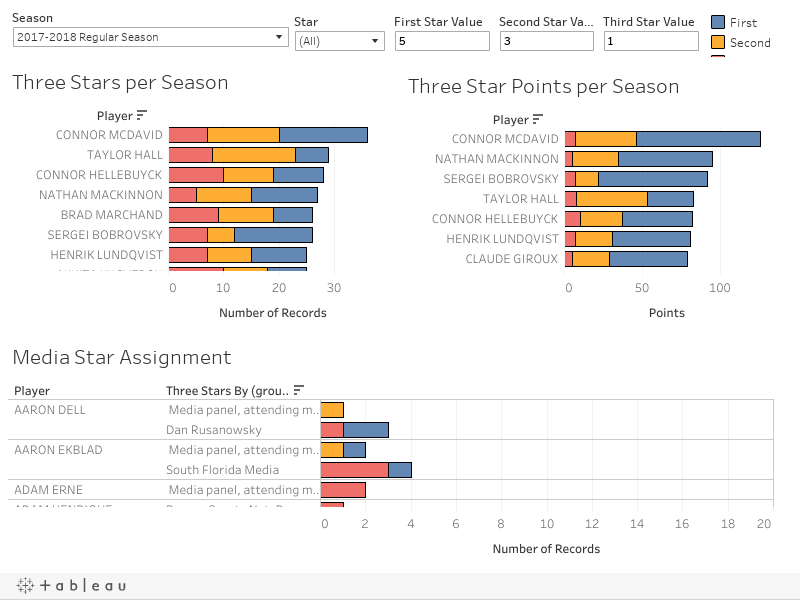 View data on stars of the game. Who awarded the 3 stars, to whom, during what season. 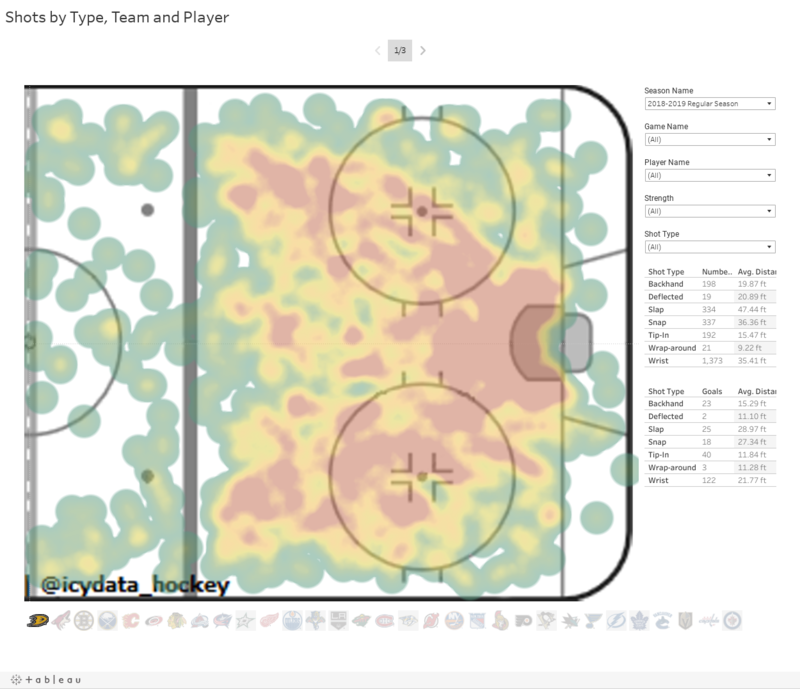 A look at the locations of hits done by the Maple Leafs. 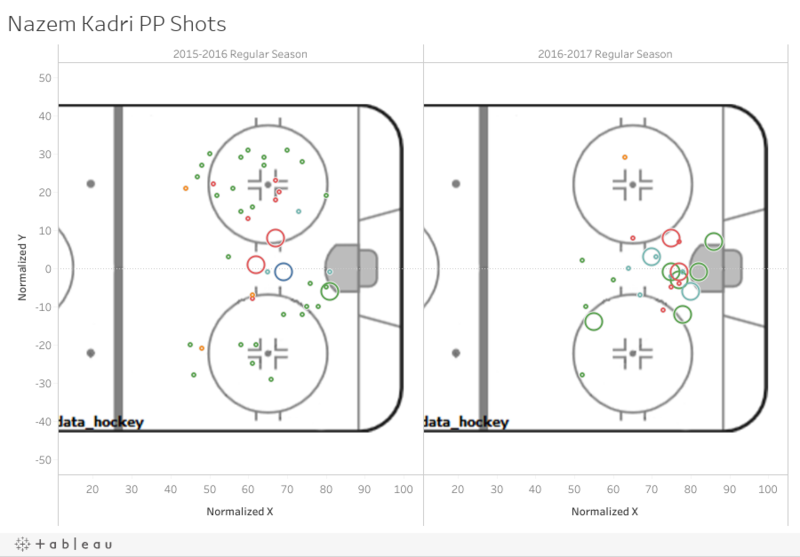 Nazem Kadri's shots on the PP. 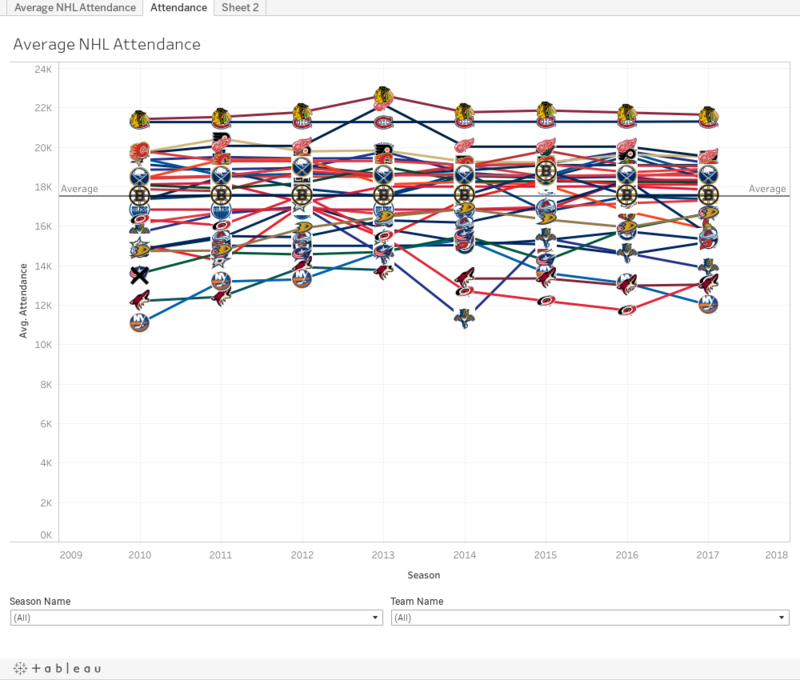 A viz showing regular season attendance for each team. How the Dennis Wideman incident affected the Calgary Flames and their ability to draw penalties.